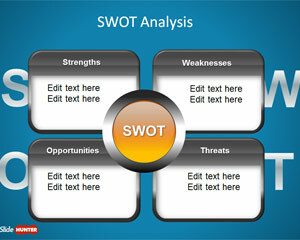 SWOT matrix or SWOT templates are used to present the outcomes of a SWOT analysis in a creative way using Microsoft PowerPoint. 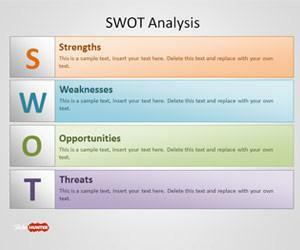 You can download free SWOT templates and editable SWOT matrix for PowerPoint presentations. 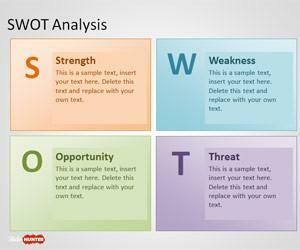 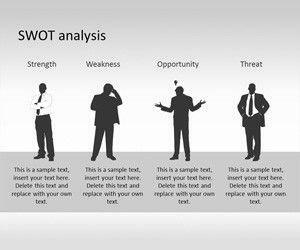 SWOT analysis tools are widely used in marketing and business presentations as well as in planning presentations to evaluate and describe Strengths, Weaknesses, Opportunities, and Threats involved in a project or in a business venture. 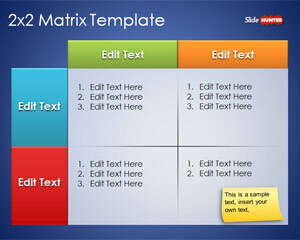 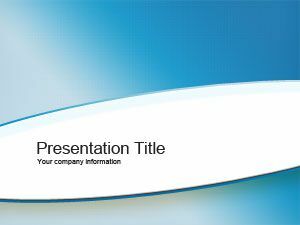 Free 2×2 Matrix Template for PowerPoint is a free PowerPoint template and PPT Matrix design. 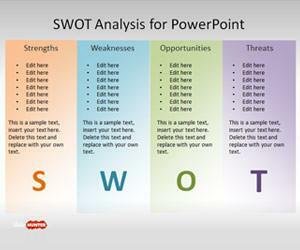 Free SWOT PowerPoint Slide Design is a presentation template for PowerPoint that you can download to present a SWOT Analysis. 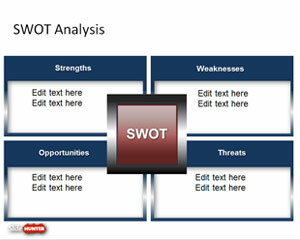 This is a simple SWOT Analysis PowerPoint presentation design that you can edit and customize for your own needs.